Our toddler gives us a daily reminder of what a good mom I am, if the above statement is true. The floors are always sticky. 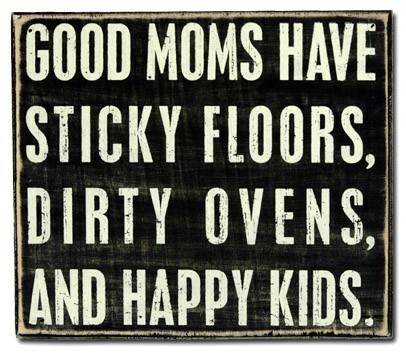 It doesn’t matter how many times I sweep and mop, they still end up all gooey. Thanks Pinterest – Learn about my Pinterest Addiction.